Welcome to Speed Track Tales! 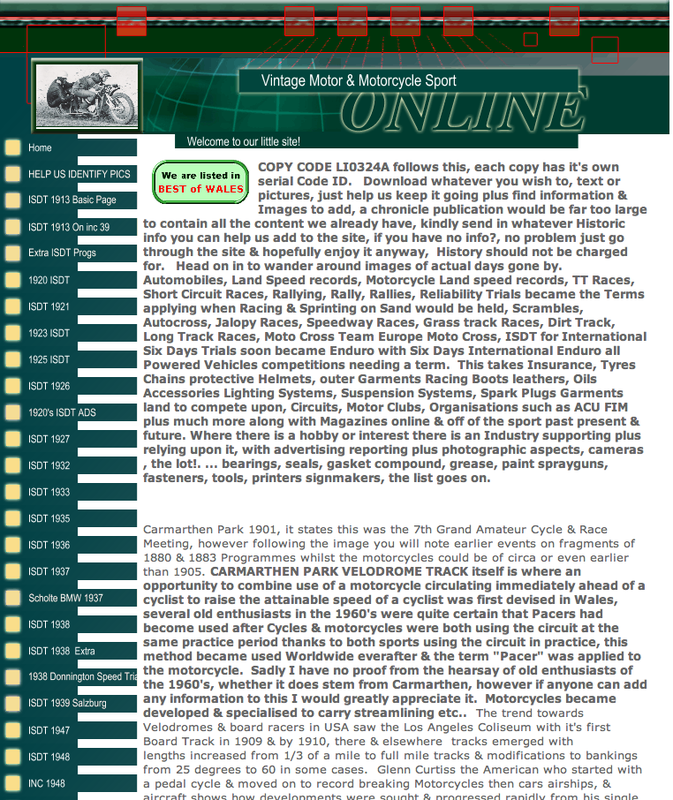 This blog is re-instating the lost www home of speedtracktales.co.uk to bring it back to the internet in a permanent home with updates and improvements to the original archive. One of these benefits is that you can now again make contact with the site created by Lynn ‘Taff’ Isaacs. More details will be place shortly about the information but if you have any old pictures articles or thoughts or comemnts on the events, riders or machines of the old ISDT events or the more recent ISDE please do not hesitate to contact us. All the material presented here is as a public resource. Where we credit a source we would expect the consent of that source to be obtained before reusing any images in respect to the rights holders consent. The complexity of copyright law is beyond our understanding and so if you think you hold the rights to any material here, which we have obtained from the public domain or has been passed by persons we believe to have rights to do so, please contact us to discuss if we need provide better credit for the original source, the rights holder or any other request up to and including the removal where rights exist and agreement for their retention is not possible. If you wish to use material on this blog we would encourage you to point to the article as a reference and if you would display the below banner ad on your site we would be grateful. Woah this weblog is magnificent i really like reading your posts. Stay up the good paintings! You realize, many people are looking round for this info, you can aid them greatly.